Perfects as garnish for meat, you only need to heat them and enjoy their magnificent flavour. Apart from this use, in a salad, cold, or to be placed on baked potatoes, to go with eggs or even to give some colour and flavour to a rice. Try to add them to your favourite meat sandwich, you’ll love it. 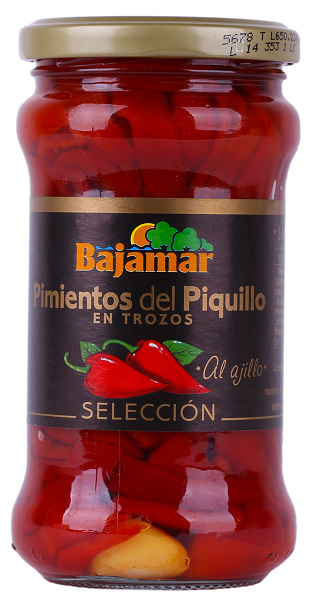 Bajamar offers you a broad range of peppers. Piquillo peppers in pieces with garlic are a practical and delicious solution that brings you all the flavour of the piquillo peppers.